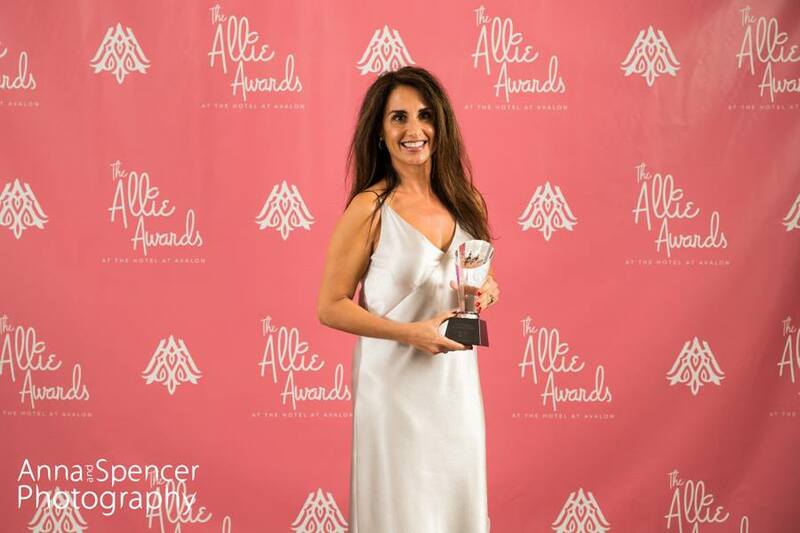 Novare Events is thrilled to announce that owner and Executive Director Myrna Antar has been chosen as the Atlanta Allie Awards‘ 2019 Dale Riggins Humanitarian of the Year. 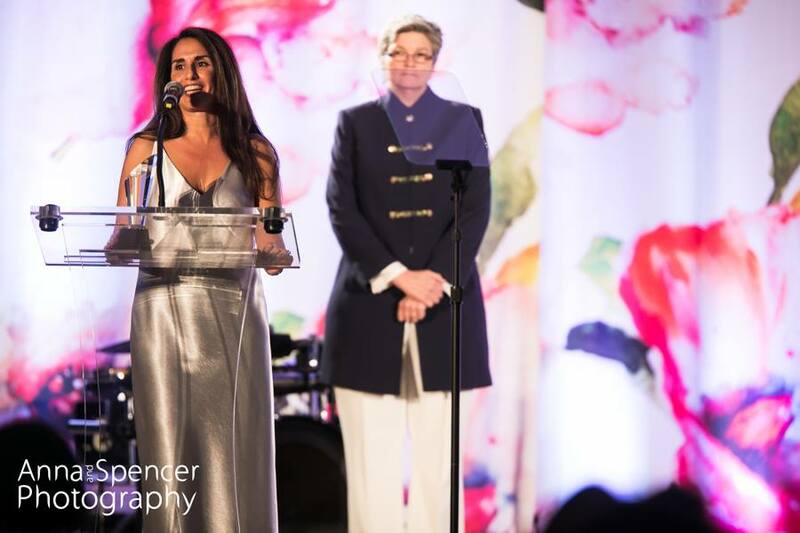 Myrna’s philanthropy and support both inside and outside of the special events industry has been an inspiration to all of us here at Novare, and we hope you’ll join us in congratulating her on this exciting recognition! Myrna started with Novare Events in 1993, rising from sales and event coordination to eventually becoming one of Atlanta’s most successful female venue owners. In that time, she has always prioritized giving back to the industry, holding various committee roles with the Atlanta Convention and Visitors Bureau as well as supporting industry businesses and serving as an ambassador for the city of Atlanta. Outside of those causes, Myrna is a passionate and long time supporter of Children of Conservation, even traveling to Africa to assist in their efforts to build a school for a local community in Zambia. She personally supports 75 children and is currently involved in efforts to raise funds for another school and medical clinic in Uganda. She is also involved with the Atlanta-based charity Sabha, with a mission to provide a support base to help alleviate poverty and medical hardships for needy children in India. Myrna has passed on her passion for service to the next generation, helping her own daughter Isabella and son Nicholas start their charity Kids for the World, which sells crafts to benefit an orphanage for medically fragile children in Haiti, as well as pay tuition for African children to go to school. Good evening. Thank you so much to the Allie Awards and our wonderful industry for this recognition. It means a lot to receive an award that is so near and dear to my heart. I was introduced to Michele Stumpe with the firm Taylor English 11 years ago when she was helping with our liquor license at Twelve Atlantic Station. Shortly after, she asked for my help with a fundraiser for her non-profit, Children of Conservation. The more I learned about the organization, which combines Animal conservation with scholarships to pay tuition, books, and uniforms for children, the more I wanted to get involved. I was given the opportunity to go to Africa in 2014, and, not to sound too cliche, it really did change my life. I remember when we asked our contacts there what they would like us to bring their answer was “underwear for the children”. Underwear. These people could have asked us for anything and they asked for underwear. So being the event person I threw a party at my house and asked everyone to bring kid’s underwear. And they brought underwear. It was pretty funny seeing industry friends like Andrew McDonald and Matt Clouser show up at my house with packs of children’s underwear in hand. Not your usual hostess gift. When we were in Africa I was so humbled by the people we met. They were so unbelievably grateful and in awe of the fact people around the world cared enough about their families to raise funds to send their children to school. These people literally had nothing, no flooring in their one room homes, no plumbing, electricity, nothing. Yet they were so happy and willing to share with us what little they did have. When we left we gave away literally everything we had brought with us. I remember thinking I wished I could come back with suitcases full for these people. And that so many small things we have that we take for granted would literally change their lives. It was hard to come back to Atlanta and not feel guilty about our lifestyle. Especially when you see first hand the excesses of our industry. I just try to balance it with doing what I can to help this and other organizations whenever I can. Our next project is to build a medical clinic and school in Uganda. The goal is to start construction mid 2020. If anyone is interested in being a part of a project like this we’d love to have you. I can’t properly explain how rewarding it is, I can just promise it will definitely change your life. Thank you. The Allie Awards were started in 1991 to recognize allied industry special event companies in Atlanta working together for a common good. The Dale Riggins Humanitarian of the Year Award has been awarded since 1994 to luminaries who dedicate their time, talent, and expertise both within and outside the industry. Learn more about the annual Allie Awards and view a complete list of the 2019 Allie winners at www.AllieAwards.com.